I do not have any family relationship to Farina, but as a young lad some 64 years ago, went for a short holiday to Leigh Creek to stay with the Corbett (I hope I got that right!) family friends. During that stay, I was invited to go kangaroo shooting with Alan who was the oldest son and we set of to Farina to join up with his friend Phil Paterson. On arrival in late afternoon, I was overwhelmed with what I encountered. Although my memory has faded to a degree, I still remember a large building with a wooden board-walk on the road side. It looked like something out of 'Gunsmoke' !! When I inquired about the building I was told it used to be a hospital. I recall helping with our gear down into a cellar though there is little I can remember much else of the building itself (at 14 or 15 I wasn't much for history - unfortunately!). We were invited to the Paterson's for tea, but before that, we had to go to a well to collect water. It was a short drive and didn't take long to get back to the house. Mr Paterson suggested I 'wash-up' for tea and directed me to the bathroom where there was an old-fashioned ceramic pitcher and basin (very cow-boyish in my mind). I washed my face and hands and swear to this day that the smile I had on my face as the water dried remained that way for ages - until the salt eventually fell away!! I also recall the general store - it was fantastic although the bush biscuits I bought were stale and it seemed like everything had a coat of dust! I'm not exactly sure, but I think I was told that the Patersons and the general store were the only occupied houses - there didn't seem to be much else standing though that may just have been my inattentive youthful eyes! Alan and Phil (although much older) did the best they could to teach me the ropes of 'rooing - although they didn't let me shoot, I was required to 'spot' and help with the gutting - and as there was not enough room in the Landrover front seat for three of us to sleep, I learned that 'rookies' either sleep with the roo carcasses in the back, or put up with the rocks and burrs on the ground. Either way it made for little sleep! I also vaguely remember we went to a rodeo though I couldn't say where, but must have been somewhere in the 'district'. The main memory of that excursion was Phil's shirt - a red and white stripe shirt that I thought was absolutely fantastic and only wished I could have one also. These memories flooded back to me when I was listening to an interview on the radio (ABC I think) with someone who had just come back from Farina after the latest restoration - and set the hairs on my neck upright when the mention of Patersons house was made. I'd dearly love to see any photos of Farina in the early sixties - most on the net are either very old - or very new. So hopefully someone who new Alan or Phil or Farina at that time can join the discussion. Phillip Willington HI Steve, Great story on the days when Farina was still occupied. I have relatives that used to have the pub and the general store in Farina in the hey days. 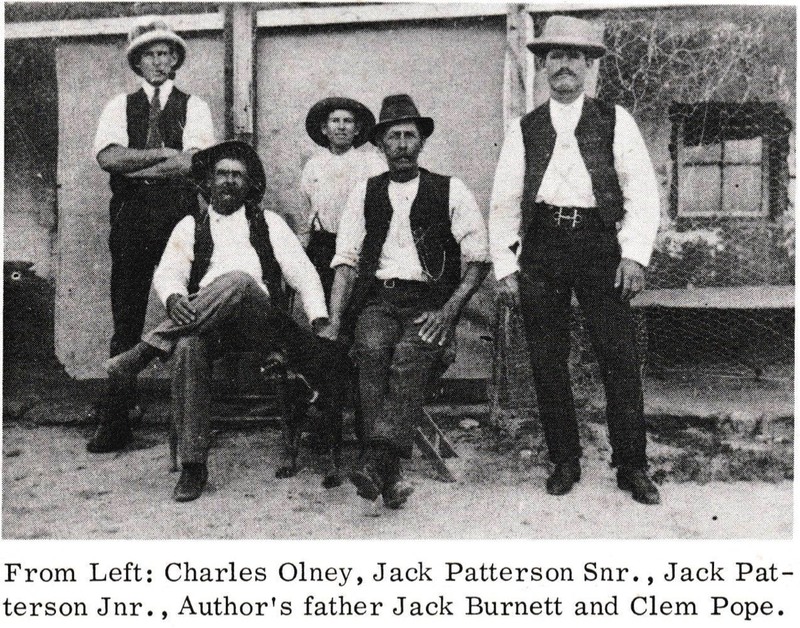 Jack Patterson was his name and I guess Phil was a relative but I have not heard of him. 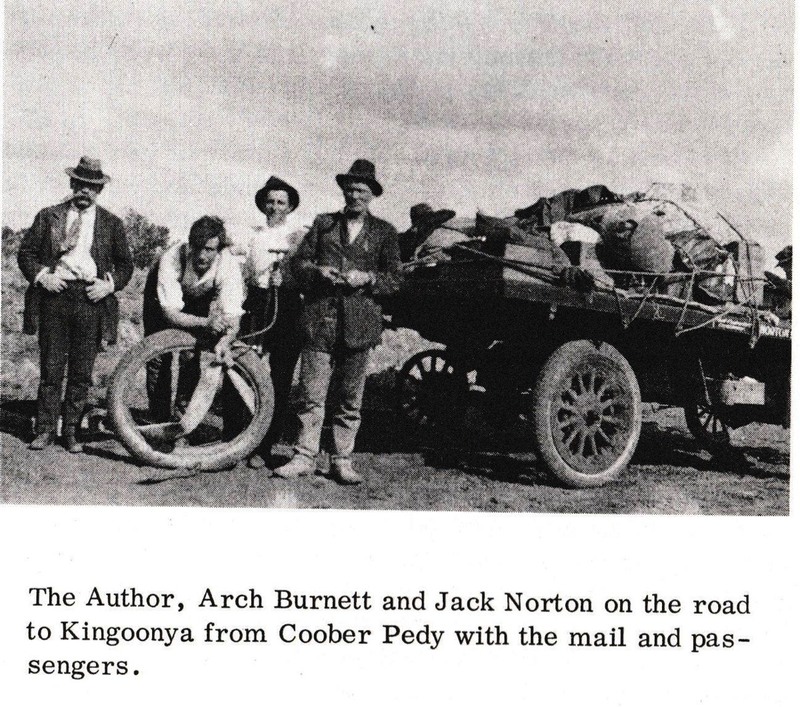 Another Relative was Archie Burnett who was also related to Jack Patterson, and Archie and a mate ran the postal delivery in a T model Ford to Coober Pedy.